You may be thinking, there is no way what I eat can radically change the world. However, I vehemently disagree. I have explained before in great detail that we live in an interdependent world therefore every action we take has a multitude of untold consequences we are not even aware of. In addition, as a society as a whole we focus too much on changing external circumstances instead of changing ourselves first to try and make this world a better place. Okay, so you may be intrigued and now may be open to the idea that possibly what you eat could change the world. However, you want a concrete example. So I am going to give it to you. I have previously stressed that including leafy green vegetables in your diet is essential. But I always get the question is it worth it to get Organic vegetables? Unequivocally YES! 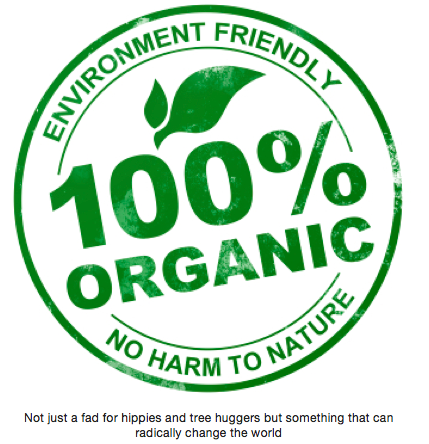 Why is it that organic is far superior? Well lets look at it from a purely selfish perspective first. A very good overarching principle to base your dietary choices on is to include nutrient dense food and exclude foods with excessive amounts of toxins. Do you think foods sprayed with all kinds of pesticides (chemicals meant to kill other sentient beings) is something you want to be eating? These exogenous chemicals we introduce into our diets have had a glaring deleterious effect on the general health of the population. In Vancouver, I am kinda of shielded from the drastic decline of general health, but when I was visiting some family in Texas my eye’s were open to how bad it really is. So if you want to be the best you can be choosing organic is a must. However, I am aware that in the real world it is not always feasible or pragmatic to buy everything organic. But that is okay because all organic is NOT equal. Your first priority to be to ensure that you are able to purchase as high quality meat as possible, before even thinking about buying any organic veggies. Why is that? 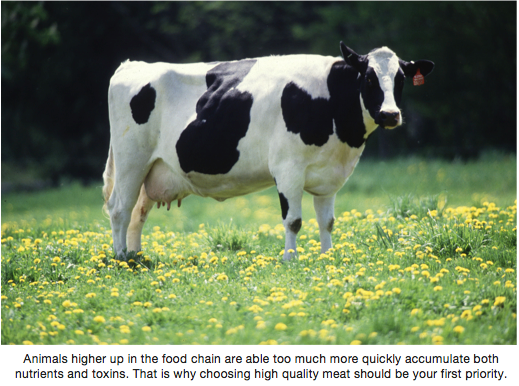 Animals higher up on the food chain have a much great bio-concentration of both nutrients AND toxins. That is why high quality meat of ruminant animals is the most nutrient dense food one can consume. Grass-Fed is the most important thing you should be on the look out for. If your cow or sheep that you are eating was eating corn, then it will be sick and inflamed. Do not think that you will be able to be magically healthy if your eating sick and inflamed animals? Organic – This is NOT as important as grass-fed but is definitely better than just conventional raised animals. It is great that no extra chemicals are used in the process. But feeding cows or sheep organic grains will still result in them being sick. Cows and sheep were not meant to eat corn and wheat BUT grass. Okay, but what happens if you have some resources left over after buying the best quality meat you can but you have to make choices for the veggies? Well this comes down to a simple physics problem. Typically you want to prioritize vegetables that have the most surface area and most susceptible to being the prey for insects to munch away at. Why? Because these are most likely the vegetables which will be sprayed with the largest amounts of pesticides if conventionally grown. Okay so now you understand the importance of organic and the relative importance of different organic foods. But you may be wondering why I haven’t answered the question how the decision to eat organic and sustainably grown meat and veggies will change the world. Well now I am. The incessant fear about global warming has considerably died down but it is still a serious problem that we all have to be worried about. However, we have approached the problem slightly wrong by obsessively worriing about our excessive driving habits (although that is still something we definitely need to curtail as it has a whole host of other negative effects). But we have ignored one of the major causes of excessive carbon dioxide emission: unsustainable and conventional farming practices. People sometimes always lament today’s society as a consumer driven market. It is always seen as a negative thing (and I agree that it definitely has its flaws) but people rarely remember to see the bright side of it. Every time you buy something you are casting a vote. That is how you can change the world. 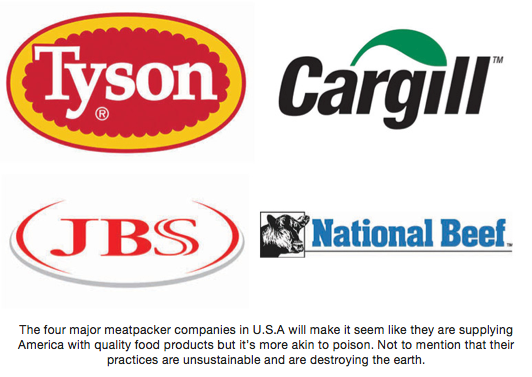 Every time you choose NOT to buy meat from sick animals by the four major meatpackers (who insidiously disguise their packaging to make it seem like there is a much greater variety of producers) and buy your meat from animals raised on an actual farm by actual farmers you are shaping the world. Just from my own experience, once I figured out the myriad of benefits of grass-fed meat (about 3 years ago) it was such a chore to find a quality source of grass fed meat. Now you can go into your local Whole Foods and you will definitely find some sort of sustainably raised grass fed meat. I hope this post helped elucidate the importance of making a deliberate choice about what you put on your plate as it not only shapes your life but it shapes the world. I also hope it empowers you in all aspects of you life, as it is the seemingly inconsequential acts (in which there will be no fanfare for completing) completed on a consistent basis that result in unbelievable results. Note this is going to be a short blog post with some actionable items that you can put into place right now to help improve your digestion and therefore improve your body composition. I also, just want to point out that a lot of my posts I have purposefully not included a vast amount of references in the majority of my articles because throughout my scientific career I have found that a significant proportion of the time when relatively inexperienced scientists reference a lot of articles they are trying to hide the fact that they do not really understand the issue at hand nor have they actually read the sources in their entirety and truly understood the implications of the studies. Do not get me wrong, in a peer review journal when one is trying to push our knowledge boundary to its limit it is absolutely essential to be rigorous during every stage of the research process to ensure that our results and conclusions describe the true state of reality as best as possible during this point in time. However, the purpose of this blog is NOT to create some general overarching unifying theory.It is to share suggestions of changes or behaviors which through my own experience (very important) have helped support me in becoming the strongest version of myself. Therefore I have decided to NOT include large amounts of unnecessary reference material because the obstacles preventing you from becoming the best you can be is NOT lack of knowledge but correct action. Remember common knowledge is NOT common action. However, lets get back to the post. During my Track Career I had suffered some very serious hamstring strains and the recommendation I received from my athletic trainer afterwards was to take 3 Advil pills (600mg) 3-4 times a day. Not only did this delay my recovery (will be a future post about why this is the worst thing you could do after an injury) but it had some serious consequences on my gut health which I am still battling today. Therefore compared to a typical healthy 22 year old my stomach is a lot more sensitive then one would expect. This has motivated me to search for ways to ensure that my digestion process does not go awry. One simple thing you can do right now to drastically improve you gut health is to cut out all ice-cold water from your diet. I know this may seem asinine, as a cup of ice-cold water is so refreshing after a hard workout. 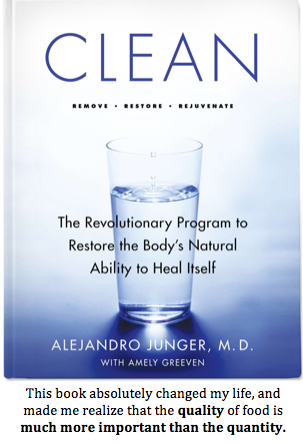 However, if you take your health seriously you will try this out for a week or two, and the amazing results you experience will keep you away from ice cold water for the rest of your life. I will got into the reasons behind this later, but ask yourself do you really need to know the reason why this helps improve your digestion or should you just take action that could have huge payoffs for you? But you may ask what should I drink if I am not drinking ice cold water? Drink as much warm herbal teas (peppermint is my favorite as it tastes great and really helps bolster your digestion as well). However, if you are not into teas at the very least replace all ice-cold water with water at room temperature. 1. Your body has infinite intelligence inside of it (for example a baby can grow inside of a women without any conscious direction). Start listening to it and your experiences instead of blindly trusting so called “experts.” Experts are humans and are therefore wrong sometimes as well. 2. Do NOT Drink ICE Water if you care about your digestive health and want to become the best you can be. 3. Replace Ice Cold water with the very least water at room temperature. Drinking Herbal teas is the best option if it is possible (I love the taste of peppermint tea and it really helps my digestion). One of the first questions I get asked when I begin helping a friend or teammate help optimize their diet is: “What supplements do you take?” This question indicates to me that they do not truly understand the function of supplements and what they can do. Supplements will not compensate for poor nutrition, lack of sleep or hard work in your training. As the name implies they can only supplement or help bolster the results you will gain from a well designed training program accompanied with sufficient recovery. However, do not get me wrong supplements can make a significant difference and help give you a competitive edge if used correctly. So how do you use supplements appropriately? Firstly, do not use supplements to try and mask a deficiency in other areas such as lack of sleep. Secondly I like to follow the principles of the KISS method (Keep it simple stupid). Lastly, a safety message realize that in biology the greater the benefit with a supplement or drug is going to be accompanied with increased side-effects. You get nothing for free in biology. An example is some of the smart drugs currently out on the market. They can dramatically improve your cognition and memory, but it comes at an dramatic costs to your brain and overall health. If some supplements seem to good to be true, it probably is and will result in long-term damage to your body. So here are the three must have supplements for any aspiring athlete. 1. Whey Protein – This is a must have for any athlete that wants that extra edge in supporting the building and maintenance of lean body mass. It has been well substantiated in the literature that you want the building blocks of muscles (protein) in the blood stream after a workout as your body is in a highly anabolic state than. However, many people do not see results when they take their protein shake after a workout. They should not. The reason is because it takes about ~ 30 minutes for ingested liquids to get into the blood steam (from experimentation with blood glucose monitor and orange juice). Therefore, to take advantage you need to take the protein shake before or during your workout so it is in the blood during this anabolic window. The protein shake company I recommend is Biox Whey Protein Powder as it not only taste greats but they use the highest quality sources of protein while most manufactures cheap out on the protein source they use. You pay for what you get. However, please feel free to use whatever company you prefer as long as you can ascertain the quality of whey protein isolate used. 2. Krill or Salmon Oil (Krill is preferred because more bioavailable) – It seems every other day we hear an add touting the benefits of Omega 3’s Fatty acids. Geek Alert: Omega 3 Fatty acids are just a type of unsaturated fatty acid. Omega in greek means the end. So Omega 3 means that there is a double bond 3 carbons away from the terminal end of the fatty acid. Why is it an essential fatty acid? Because only plants have the enzymes to place a double bond at the 3 carbon sugar. Geek Alert over. So is Omega 3 the panacea for inflammation and cognitive decline? NO. However, in the vast majority of people who follow the SAD (Standard American Diet, which makes you SAD) diet there ratios of Omega 3 to 6 are completely out of whack. The average ratio of Omega3:Omega6 in today’s population is ~ 1:20 and it should be closer to 1:4. Therefore, supplementing with Omega 3 is vital to get this ratio in balance and decrease excessive inflammation in your body which will be impeding your ability to recover and become the best athlete you can be. 3. Vitamin D (Please see a physician before taking) – The effects of Vitamin D deficiency are well documented and quite severe. It is called a Vitamin because our body can not produce it, but it acts a hormone. It has wide ranging effects which are vital for any athlete hoping to optimize their performance. Many people tend to vastly overestimate their vitamin D production due to the sun. Recent research by Dr. Holick (Dr and professor at BU who found the active form of Vitamin D), that for any northern countries, such as the great white north (Canada) you can not receive vitamin D from the sun for half the year because the angle of the Sun relative to the horizon prevents UVB rays from getting in the atmosphere. UVB rays are the only UV rays which can cause photoreceptors on your skin to convert Cholesterol into Vitamin D. (Another reason to NOT avoid healthy animal fats!). This can be especially problematic for athletes who train indoors and have a darker complexion (such as myself) because having darker skins means that you will have more melanin which will prevent some of UVB rays from being involved in the production of vitamin D. So how can you combat these many problems? I definitely recommend getting a Vitamin D test sometime to establish a baseline. However, you should be fine to start taking ~ 400 IU of vitamin D (it takes much more vitamin D than we used to think to result in toxicity). Although I am NOT a listened physician yet so please do not take my recommendation without consulting a physician at some point. The next most important thing is too make sure you know when your body can and can not produce vitamin D from the Sun’s rays. To figure this out Dr. Holick created a great iphone app called the Dminder (which has a free version). I highly recommend it. So there you have it, three very important supplements that can give you that extra edge to push you over the top. I would recommend that you get rid of any non-medically related supplements (not prescribed by a physician) and stick to the basics unless you get further blood testing that substantiates further supplementation. Lastly, remember that whole foods, enough good quality sleep and appropriate recovery time can not be replaced by supplementation. How to make the time to cook healthy and delicious meals. In this day and age athletes can not feign ignorance to excuse their poor dietary habits. While it may not be entirely obvious what exactly you should eat, you may be aware of a general trend. Eat more whole foods from local sources, such as vegetables, fruits and high quality grain supplemented with sustainably and humanely raised animal meats. However, a common complaint I received from teammates all the time while competing is that they just don’t have time time to cook. I am going to give you a couple pragmatic tips you can use right now to have the time to cook both healthy and delicious meals. 1. Do all of your cooking on ONE day per week- I mentioned the concept of batching before in a previous post. It is a very powerful concept that can be used in all aspects of your life to drastically improve your efficiency. No matter what activity you do, there is always an associated start up fee. So for example for cooking, the activity in it of itself is not that tedious. I actually love cooking! I hate cleaning though! So if you can complete all your cooking on one day per week then you are only setting up and cleaning up your cooking apparatus once per week. Let’s say you were previously cooking breakfast and dinner every day individually, and it takes ~ 5 minutes to set up and then clean up afterwards. You would be spending ~ 10 min/day and 70 min/week just cleaning and setting up for cooking!!! However, if you are only cooking once per week you reduce your total cleaning/setting up time substantially (for this example 65 min!). This does take a little bit more organization and planning, but for the amount of time you save it is well worth it! 2. 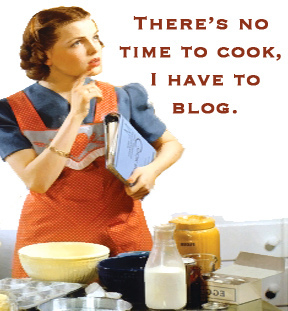 Make Baby Steps – If you have almost zero experience cooking, do not try to become a gourmet chef overnight. That is a recipe for disaster. Follow the KISS principle (keep it simple stupid). When I first started cooking for myself during my sophomore year of college, I exclusively used frozen vegetables and fruits (much easier to prepare). Also, initially I maintained a very routine diet because it is much easier to plan and prepare if you are eating the same thing the vast majorities of the time. As you get into a routine and become more experienced then of course experiment but do not overwhelm yourself at the beginning. Bonus – This is not really a tip to make more time for cooking, but another common complaint I get is that if your eating the same meals over and over again then you start to get sick of the 1-3 meals you are keeping in rotation. A great way to add variety is to experiment with using different spices and herbs while cooking. It is amazing how quickly your taste receptors become attuned to the subtle differences between different combinations of spices and herbs and how much pleasure this brings. Another great benefit of using herbs and spices is that this is a great and relatively cheap method (compared to buying fancy and expensive supplements) to boost the nutritional profile of your meals! I hope this article gave you some actionable items that you can use to make time to cook and to take control of your health and your body. If you have any questions please make a comment below, and if there is any specific topic you would like me to discuss let me know.Lastly, always feel free to reach out to me on facebook or linkedIn (Pavan Mehat) or shoot me an email at pavanmehat12@gmail.com.